When you think of the Epcot Flower & Garden Show, chances are you think of seeing flowers and topiary. And you will see plenty of that. But the yummiest part of the Epcot Flower & Garden Show is the food found in the outdoor kitchens–from to ceviche to pulled pork to kale salad, read on to see all there is to eat and drink at the 2015 Epcot International Flower and Garden Festival. We love going to the Epcot International Flower & Garden Festival and this year should be no different. The flowers are stunning, the gardens are exquisite, but oh, the FOOD and DRINK at the Outdoor Kitchens! Simply said, with or without the kids in tow, the Flower & Garden Festival is a perfect food gathering. We have traveled to WDW Epcot just to spend time at the Festival and come back each year due to the variety and additions. This year, there is not only a new outdoor kitchen, but many kitchens are featuring new items to their menus and will be using local ingredients. The Festival makes sure there are options for everyone, including gluten free and vegetarian, plus offer a wide range of specialty drinks, both alcoholic and non-alcoholic. 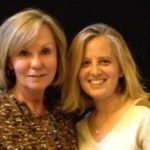 Having a triathlete in our house with a focus on healthy eats, satisfying both is EASY at the Festival, with so many wonderful choices. From our first memory when our son tried escargot (and has not stopped eating them) to last year when it was just the girls, this Festival is amazing! To help you narrow down your choices, I’m listing the 12 Outdoor Kitchens with some of my “What Not To Miss” favorites and what I’m anxious to try this year. A valid park admission is required for entry, so a Park Hopper is great. You can visit the parks and head over to the Festival for a great meal. If you are on a meal plan, many items are part of the snack and beverage plan. 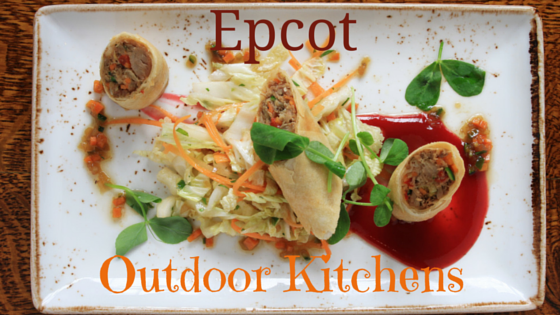 I would schedule two days to do Epcot and the Flower and Garden Show, making sure to enjoy all of the Outdoor Kitchens. The hours of the Outdoor Kitchens vary, so be sure to plan your stops for lunch and dinner accordingly. Each of the stops have a shaded area nearby, so plan some table time to rest up. Most food items are between $3.50 and $6.50 and drinks range a bit higher. 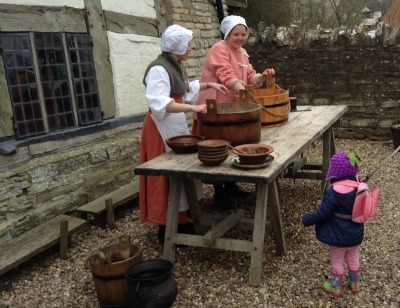 Each kitchen will have water, sparkling water, and lemonade, as well as their speciality drinks. This newest Outdoor Kitchen features specialities of Latin America. I love the freshness of the flavors and the textures of the food, like corn pancakes with cheese. They are featuring one of my favorite Florida fishes, Grouper in a Seafood Ceviche. Although my son’s first ever bite at the Flower and Garden Festival is not on the menu this year, I’m still going back! New this year, I’ll be trying the Strawberry Marshmallow Macaroon and the Grand Marnier Ice Pop. Kronenbourg Blanc 1664 – This is a white beer! Fresh Florida fish at the Epcot Outdoor Kitchens. Photo credit Dana Zucker, Triathlon Traveling Mom. I love to eat local, so this locally-sourced kitchen is always one of my favorites! I am so excited about the new blueberry and lemon curd tart and the beer flight, so I don’t have to pick just one! 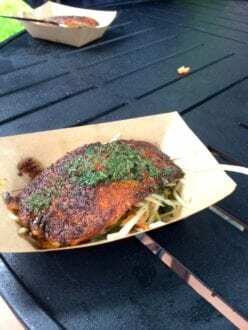 Feast of Flowers Farmhouse Ale – Florida Beer Company (Cape Canaveral) – Festival Exclusive! Japan celebrates Spring each year. Admiring Spring is a ritual and to have it wrapped around the Festival makes it all the more special. This is the first time I have seen so many new additions to this menu and they look yummy with great prices. I will be enjoying the Teriyaki Curry Bun and Hako-Sushi, as I love anything with eel sauce. The drinks have me confused, so will most likely come back to decide between the Strawberry Nigori and the Yuzu Plum Wine Slush. 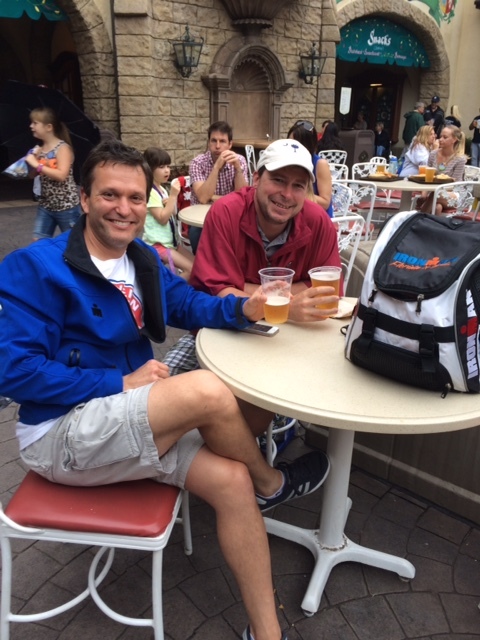 Triathletes enjoying a beer and some downtime at Epcot. Photo credit Dana Zucker, Triathlon Traveling Mom. The colors of the food are always bright at the Jardin de Fiestas. The Tacos al Pastor were so yummy last year, I’m thrilled they’re still on the menu. The grilled pineapple is so good it’s become a regular menu item at our house. I’ve never tried tequila, so am hoping to try the flight this year. The China Pavilion holds a special place in my heart this year. Right after I wrap up my visit at the Festival, I’m headed to China. I am looking to linger at this stop to learn a bit more about the cultural and food. I am a sucker for a Chinese Bun, so the new Kung Pao Chicken bun is at the top of my list to try. With it, I’ll enjoy the Honey Mango Wine cooler. I haven’t had a wine cooler in ages! All things pineapple are what is being served up again this year. With all the health benefits of pineapple, I suggest we try everything on the menu. This stop will help cool you down. I can’t wait to try the Spicy Hot Dog with Chutney and the Berry Tea Cocktail has the superfood acai in it, too. Bonus! Enjoying a salad and some wine at Epcot Outdoor Kitchens. Photo credit Dana Zucker, Triathlon Traveling Mom. With two vegetarian options, I know we will be stopping here this year. 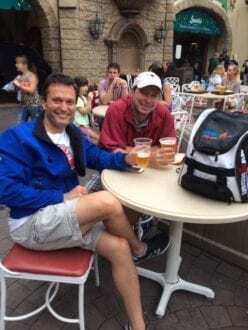 Last year, we ate a wonderful lunch at the Italy Pavilion, so this year we will be hitting the Outdoor Kitchen. The new Prosciutto Pinwheels look so yummy and I know my partner in crime will be enjoying the veggie pasta dish. The big question is will we share the Panna Cotta or need 2? And, it will be washed down with Rossini! Morocco is on the top of my travel list. I cook a lot using the spices and techniques of northern Africa. I love the smell and the taste this region has to offer. This year, the menu has two new items and I will be trying them both! My tastings will include the Falafel Pocket and the Pistachio Baklava. The best part of the cuisine from this area is the contrast in flavors; the fruits mixed with the spices like in the Sweet Couscous Salad. This is one stop I’ve never made, although my family has. This year, I’m slowing down to savor the BBQ and a brew. A bacon cupcake is on the top of my list and I can’t wait to try the pig slider. They’re offering a beer flight, so again, I won’t have to make a decision. I’ll grab a Frozen Lemonade when I’m done, sit in the shade, and cool down before heading on! 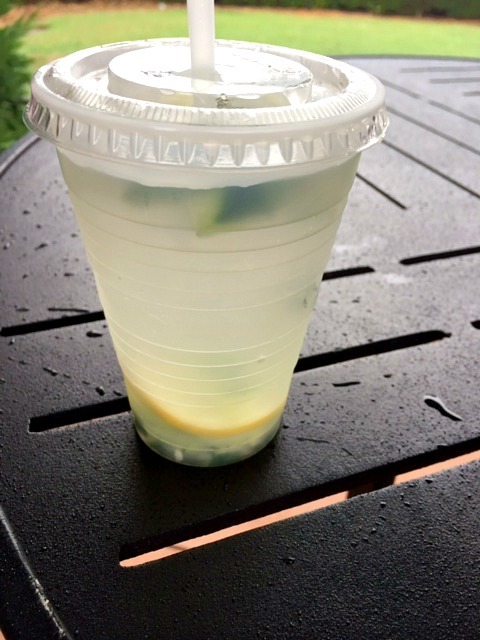 Cucumber Lemon Spa Water at Urban Farms at Epcot Outdoor Kitchens. Photo credit Dana Zucker, Triathlon Traveling Mom. 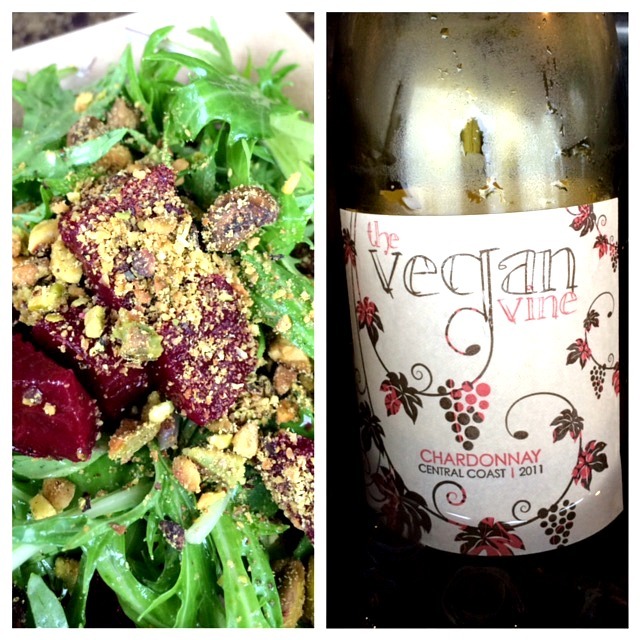 Last year, I stopped for a Spa Water and Beet Salad and ended up staying a long time. I was by myself and each time someone came over, I kept ordering more to try. The concept of farm to table is one of my favorites and the Urban Farm Outdoor Kitchen uses almost all of their foods from the ground. I am most excited about the new Quinoa Vegetable “Naanwich”. Don’t forget to visit the Festival Center. They will be serving up some healthy bites, drinks, water, and sodas. It’s always a great place to stop and regroup. I hope you can tell I’m SO looking forward to this year’s Festival and Outdoor Kitchens and can’t wait to hear what you are excited about!